Astronomy or Astrophysics has been a very attractive subject for Indians since ancient times. 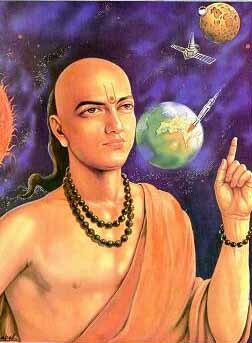 Ancient Indians, like Aryabatta, the great scientist, tried to figure out the secrets of the sky and deep space for predicting the future. This involved complex mathematical calculations and equations many of which are unknown to us today. Only a small fraction of these calculations is used at present for astrology and printing of Panchangams or religious texts. But, these are used only for religious purposes and the knowledge the calculations could provide us is still hidden to humankind. Ancient Indian religious texts are a huge treasure of knowledge on science and astrophysics but due to certain inaccuracies the whole text is termed false. 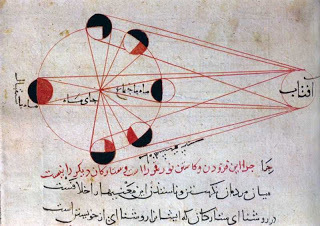 The calculations used to find the exact timings of the solar and lunar eclipses, created over 1000 years ago are used even today and the calculations are still very accurate. The ancient Indians could tell about the Nava grahas (nine planets), grahanas (eclipses) and outer space without the use of any modern equipment. It is our moral duty to rediscover those calculations and bring back the huge knowledge that ancient India possessed.